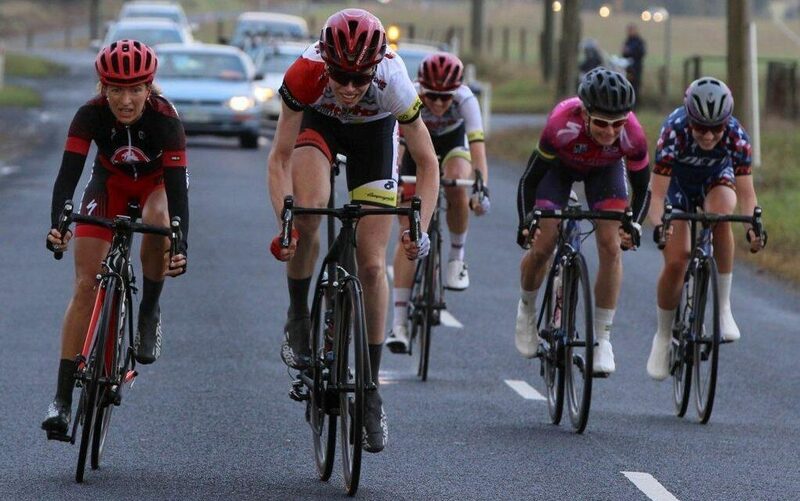 In her first ever National Road Series event, Lisen Hockings has stormed home to win Stage 2 of the 2016 Mersey Valley Tour. 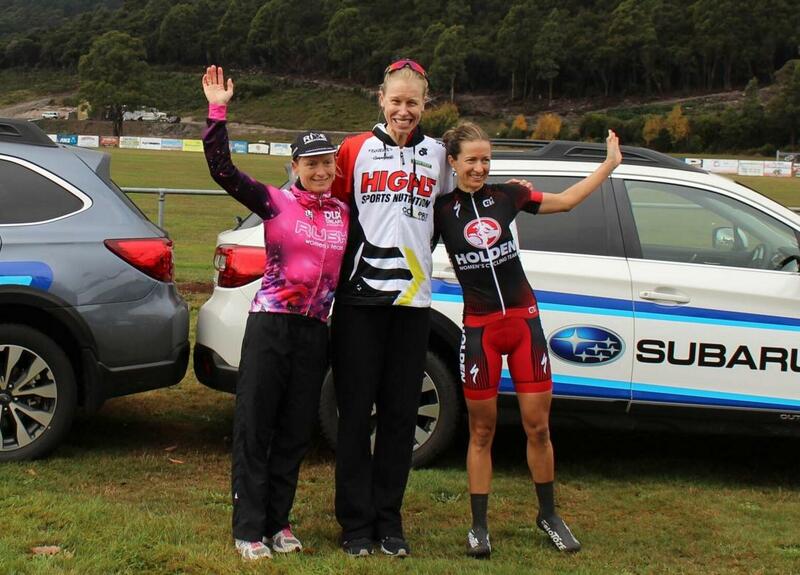 A wet and wild day in Tasmania created chaos in the opening half of the stage, however Hockings and her High5 Dream Team teammate Lucy Kennedy were attentive at all times, and held position at the front of the peloton to avoid incident. Tessa Fabry was brought down in a crash just three kilometres before the major climb of the day at Gunns Plains, leaving Hockings and Kennedy to fight it out in the break of the day with Ruth Corset, Miranda Griffiths and Kate Perry in a very eventful second half of the race that was punctuated by crashes and flat tyres. 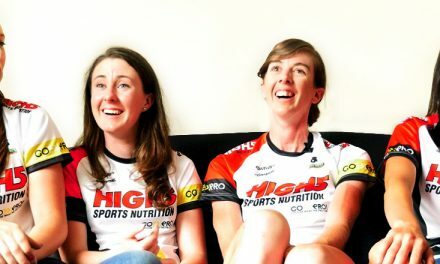 With the Gunns Plains climb behind them and 20 kilometres of undulating racing left, the relatively inexperienced duo of Hockings and Kennedy showed experience beyond their years, sitting on the back of the group and launching multiple attacks against their more seasoned breakaway companions. 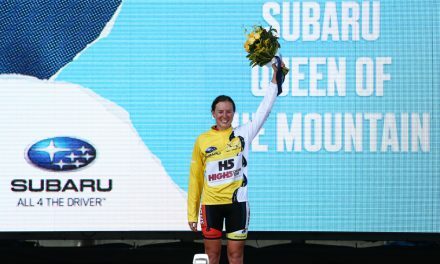 Inside the final kilometre, Kennedy went early on the final crest before the finish, forcing the other riders in the breakaway to respond early, enabling Hockings to come through and win the stage. 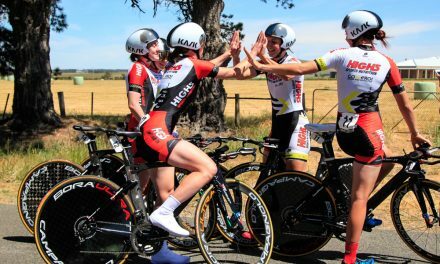 Team director Ryan Moody was elated with the result as well as the learning experience for Hockings and Kennedy in an unfamiliar situation. 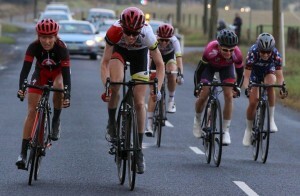 Georgia Baker didn’t finish the stage after a crash in the early kilometres. 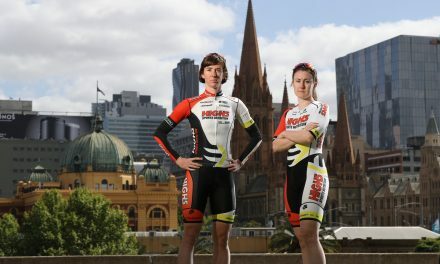 With no major injuries visible other than bumps and bruises, and one eye on Rio, Georgia was removed from the race as a precaution and will be examined upon her return to Adelaide.